The University of Southern California is a leading private research university located in Los Angeles — a global center for arts, technology and international business. 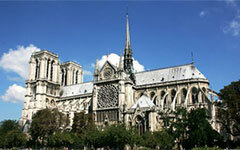 It is home to the College of Letters, Arts and Sciences and 21 exceptional academic schools and units. USC’s Health Sciences campus houses renowned specialized care and research in cancer, stem cell and regenerative medicine, orthopedics and sports medicine. The university is the largest private sector employer in the city of Los Angeles, responsible for $8 billion annually in economic activity in the region. 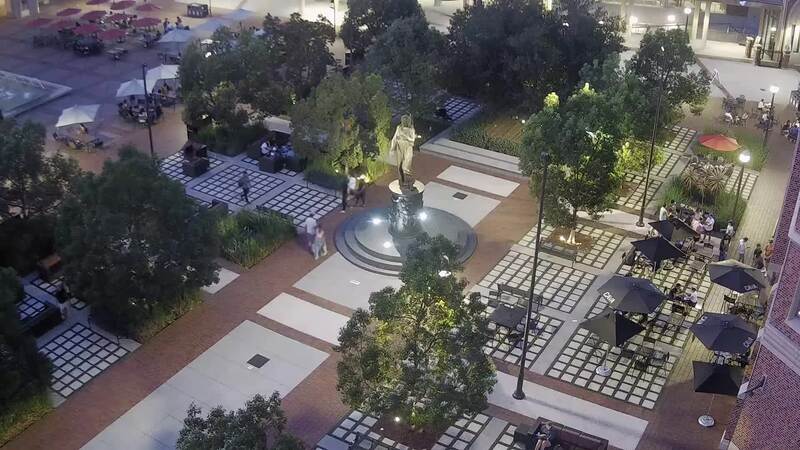 Opened in 2017, the USC Village is a next-level student living and learning complex nestled in a community-facing retail town center. Living spaces are organized into eight residential colleges, each guided by faculty-in-residence who curate an array of extracurricular programs. 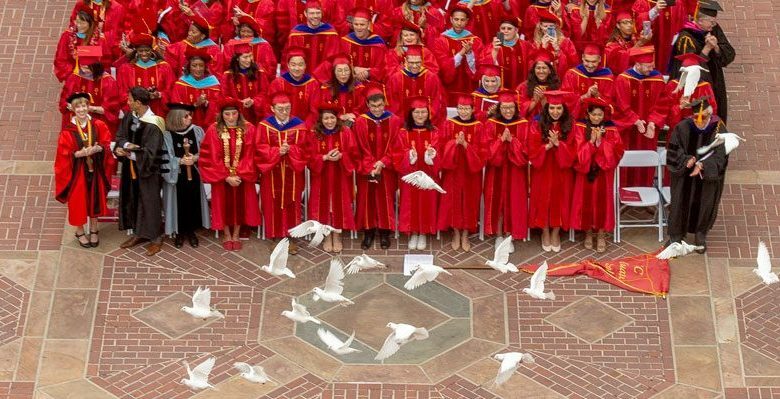 “The central mission of the University of Southern California is the development of human beings and society as a whole through the cultivation and enrichment of the human mind and spirit. The principal means by which our mission is accomplished are teaching, research, artistic creation, professional practice and selected forms of public service.” For the entire mission statement, visit About USC. 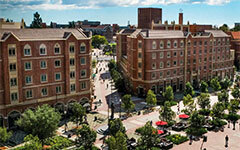 The University of Southern California is one of the world’s leading private research universities. An anchor institution in Los Angeles and a global center for arts, technology and international business, USC’s diverse curricular offerings provide extensive opportunities for interdisciplinary study and collaboration with leading researchers in highly advanced learning environments. As a top-ranked private research institution, the University of Southern California offers everything you are looking for: world-class resources on a human scale, more academic opportunities than any other American university, a vibrant campus life, a location in the heart of a dynamic world center and the lifelong support of the Trojan Family. 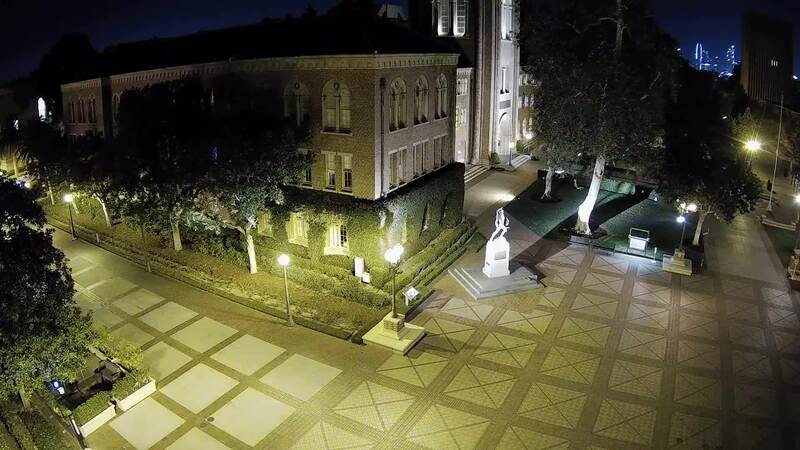 USC grants $256 million of financial aid each year. This is the largest pool of financial aid of any institution of higher education in the country, and benefits 70% of the undergraduate student population. 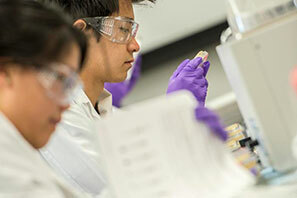 The University of Southern California is one of a small number of research institutions on which our country depends for a steady stream of new knowledge, art and technology. 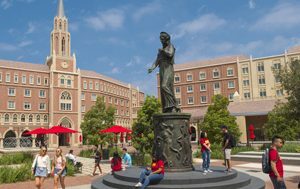 USC has nearly $700 million in annual research expenditures, is ranked first in the nation among all universities in the size of its computer science research program, and has the largest graduate program in science, engineering and health of all private research universities. 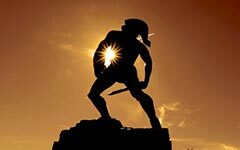 At USC, students at all levels have opportunities to participate in research projects and other creative endeavors, and to interact with faculty members who are distinguished for the impact of their research. The Keck Medical Center of USC is comprised of Keck Hospital of USC, USC Norris Cancer Hospital, USC Verdugo Hills Hospital and more than 500 faculty physicians of the renowned Keck School of Medicine of USC. For over a century and a quarter, the University of Southern California has been an institution in the city and of the city. 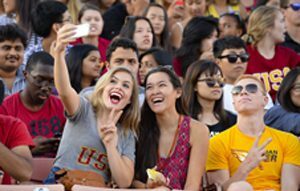 Having grown, and grown up, with Los Angeles, USC draws its unique vigor from its surrounding communities. We continue to join with our neighbors to ensure that our streets are safe, our children are healthy and well educated, and our local businesses, the arts, and our extraordinary cultural institutions thrive. The USC Mobile Dental Clinic is a regular participant in “Give Kids a Smile Day,” the American Dental Association’s annual program to help low-income and disabled children access dental care. USC Glorya Kaufman School of Dance is one of the six prestigious art schools of USC; other degree-granting arts schools are the USC Roski School of Art and Design, USC Thornton School of Music, USC School of Architecture, USC School of Cinematic Arts and USC School of Dramatic Arts. The University of Southern California is a global university, and a leader in international education. With programs of research, study and service that span countries and continents, and a worldwide alumni network, USC prepares students to thrive in the global marketplace. At universities across the country, mental health issues are on the rise. Learn about the many ways USC is helping to address the issue. Collisions and groundings caused by human error are common, so USC researchers are working to minimize the need for human decision in navigation. As the world’s energy demands grow, batteries could be key to storing sustainable energy. USC researchers are at the forefront of this electrifying topic. Michael Wallich, USC’s arborist, keeps a close eye on the trees — all 3,700 of them — that give the university’s campuses their parklike atmosphere. 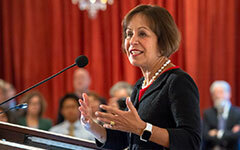 Carol L. Folt will become USC’s 12th president, the USC Board of Trustees announced Wednesday. Though the USC-led study was designed to assess safety, six of 11 lymphoma patients who received a commonly used dose of the improved CAR T-cell therapy went into complete remission. The former University of North Carolina at Chapel Hill chancellor is slated to become USC’s 12th president July 1. An internationally recognized biologist, she’ll lead the university into a new era.